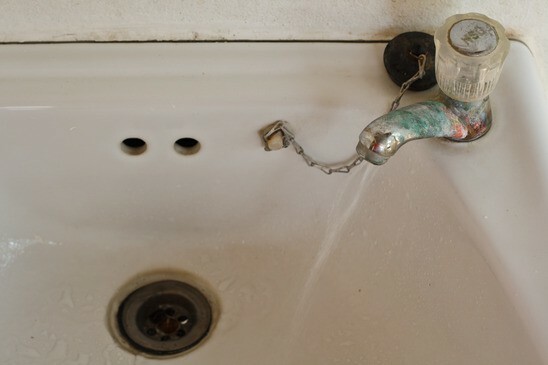 If you notice corrosion on your plumbing fixtures or blue-green stains around tub and sink drains, you might have an acidity problem. Another indicator is pitting of fixtures and dishes, as well as pin-hole leaks in your plumbing. Water with low pH is acidic enough to corrode the inside of your copper piping, causing some of the copper to wash out and color the water bluish-green. Yellow, brown, or rusty stains on plumbing fixtures, water-using appliances, and freshly washed fabrics are all signs of high iron content in your water. Water can have a reddish tint when drawn, or it could seem clear, but haziness would appear when it’s left standing. Other signs include metallic flavor or smell and beverages becoming inky or black. Iron is a naturally occurring chemical in water, but it can also become a problem when your well gets contaminated with iron bacteria. Solution: depending on the source and state of the iron in your water, an oxidizing filter or shock chlorination could lower the iron content.